I am up on the Atlantic Hearts Sketch Challenge blog again this week with a card I made for Sketch Challenge #219. I started with a white card stock base. 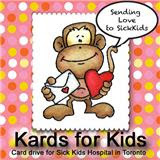 The design paper is by Doodlebug designs. I used a stitched banner die to cut the banners as well as the flower. 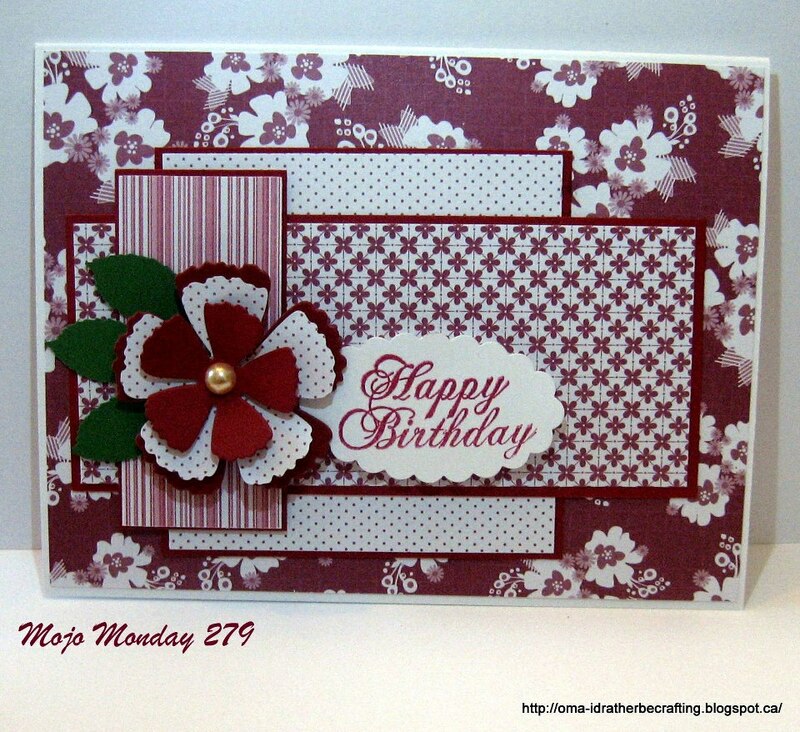 The banner die is by My Favourite Things and the flower die is by Spellbinders. I cut a leaf out of green paper. I added some pink and white daisy embellishments which came from Michaels. 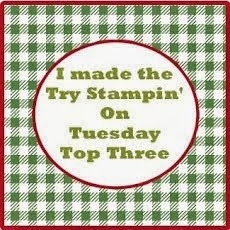 I used a Stampin' Up punch and stamped the sentiment with Stampin' Up - Cherry Cobbler. I had a hard time trying to decide which design paper to use until this morning while I was sitting outside enjoying my coffee when I remembered that I had the Doodlebug design paper. I have a 12 x 12 paper pad with very small prints which are ideal for card making. I am happy with how this card turned out and when I showed it to my sister today at lunch; she liked it too. Love the bling and super cute little flower! 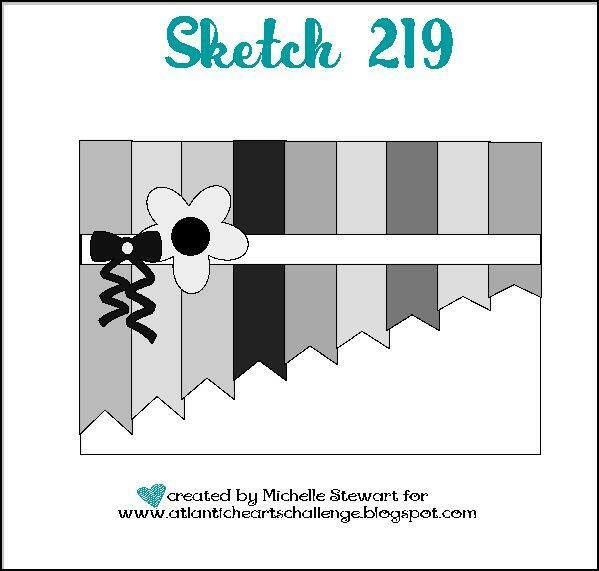 Love polka dots and pink and how you used another banner for your interpretation of the sketch. Very pretty.